No drilling, tapping or bolt modifications. 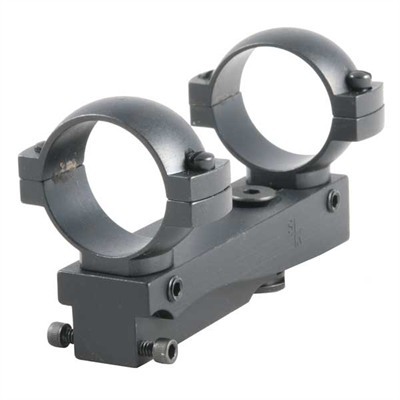 Aluminum base replaces the rear sight, and accepts a long eye relief, scout or handgun scope. Includes S&K, horizontally split steel rings. 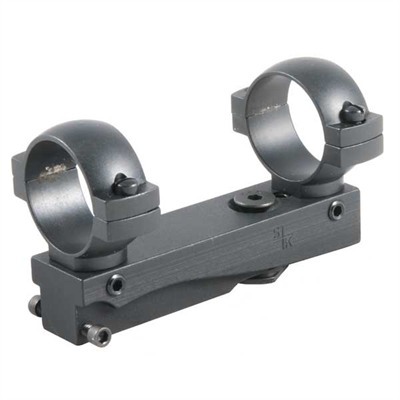 SPECS: Mount - Aluminum, anodized, black, matte finish. 1" Rings - Steel, blue, matte finish. M91 fits M91/30 and M91/59. M44 fits M44 Carbine.